Across the country, educators are faced with incredible challenges as they continue to inspire, engage and educate our nation’s public school children. 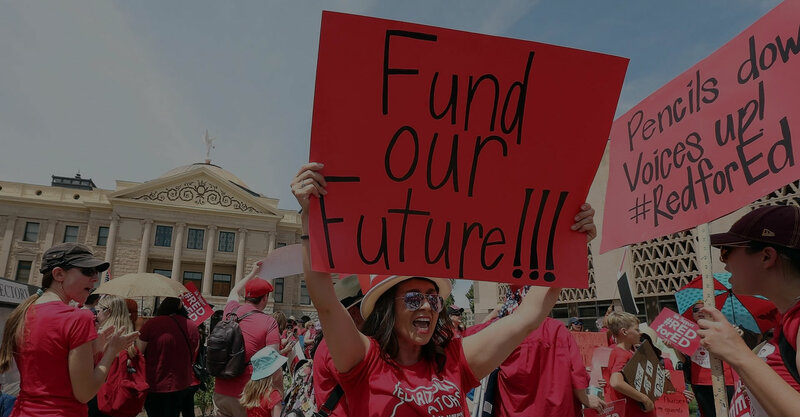 From overcrowded classrooms and underfunded schools to the Supreme Court decision to weaken their union and needing multiple jobs just to make it, educators deserve better. 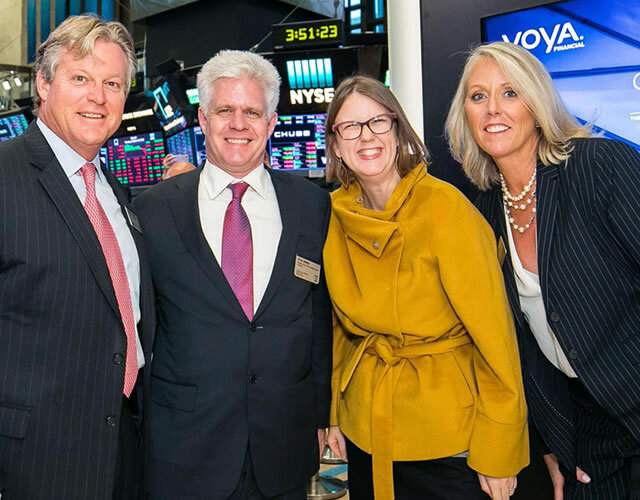 The National Education Association (NEA) faced an unprecedented challenge to member retention in the wake of a recent Supreme Court decision that weakens unions. 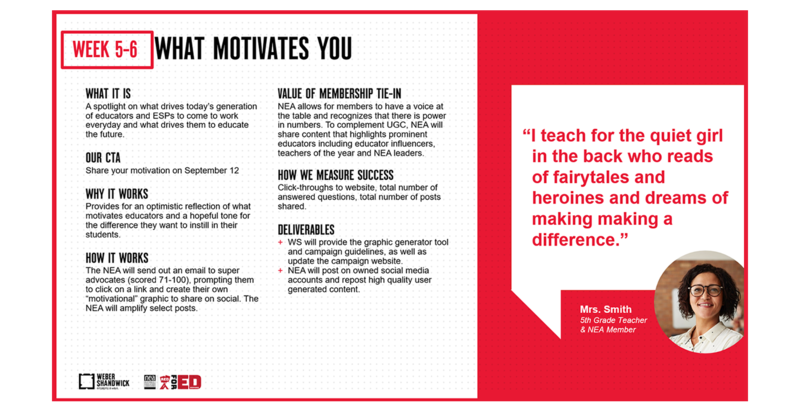 NEA needed to communicate the value of being part of the union to its members, and wanted a targeted awareness campaign that highlighted its role in instigating the change educators need. 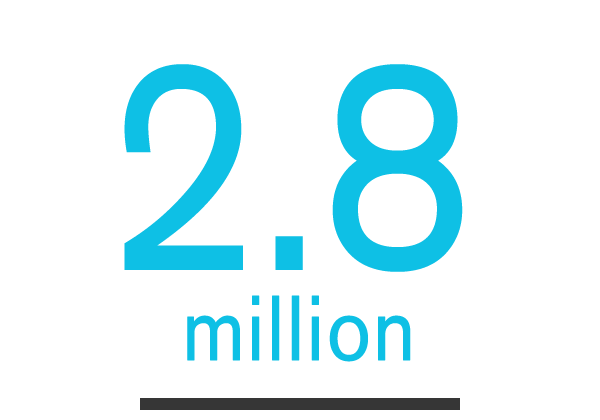 Educators across the country were ready to get engaged. 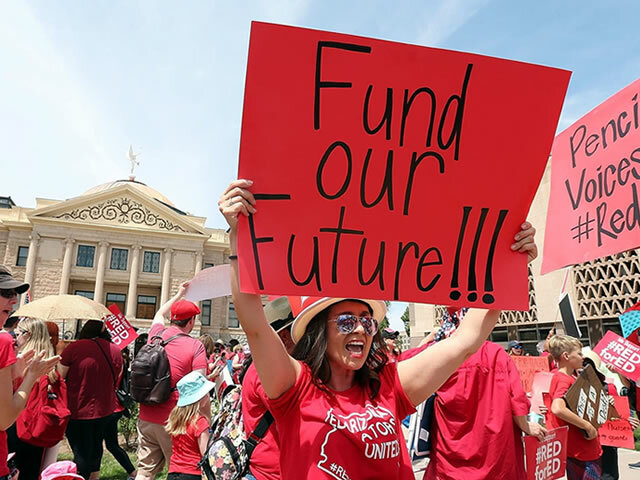 Despite the NEA’s role as the largest public sector union, there was a need for a broader rallying campaign to inspire more educators to take action in support of public schools. 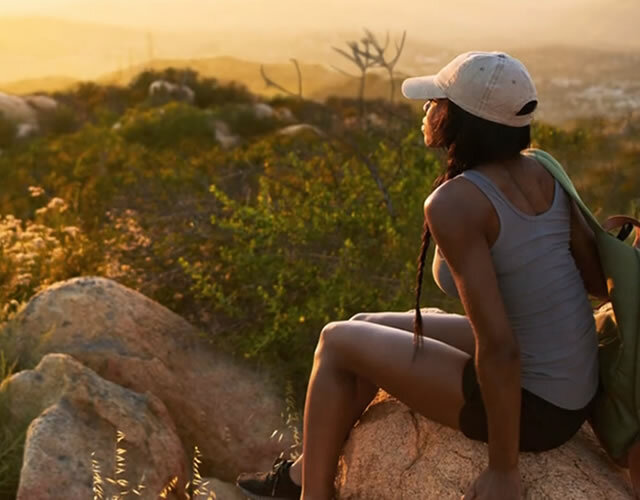 We created an anthem video where a single shot camera and palindrome-inspired script captured the struggles of public school educators while also providing the inspiration to overcome. 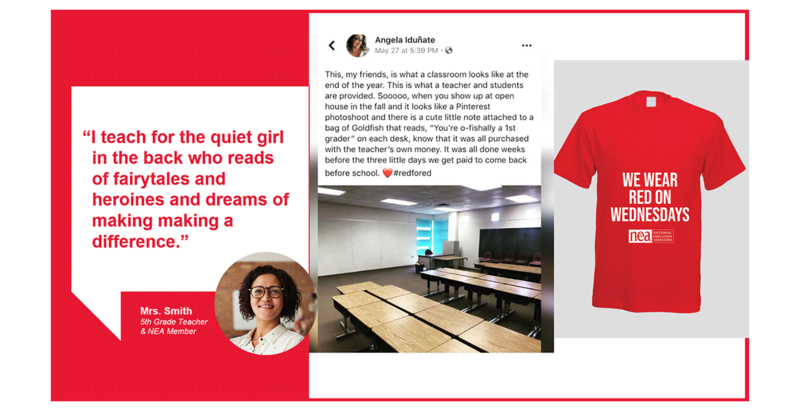 The goal was to ensure the NEA is clearly seen by members and parents—across all touchpoints—as a driver in today’s pro-public school #RedforEd activism. 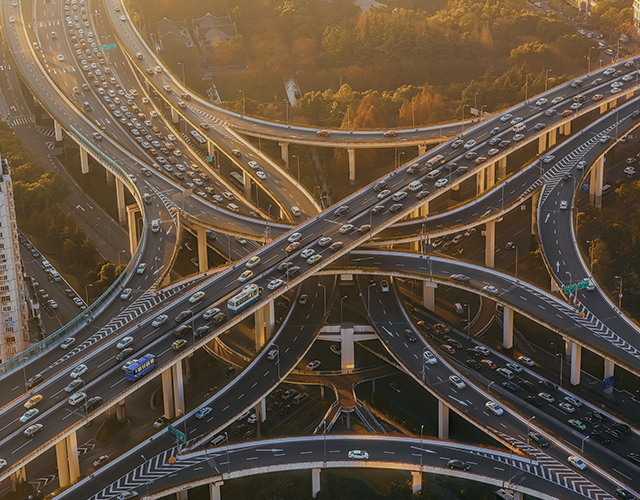 Weber Shandwick worked with the union to develop a robust measurement and insights plan to get smart on s audiences deliver messages to the right people at the right time. 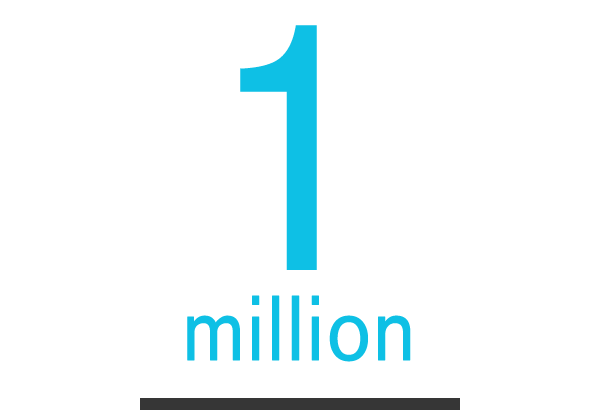 Our content has reached over 1 million educators to date across Facebook, Instagram, YouTube, Google Search, and premium publishers via video distribution partners. 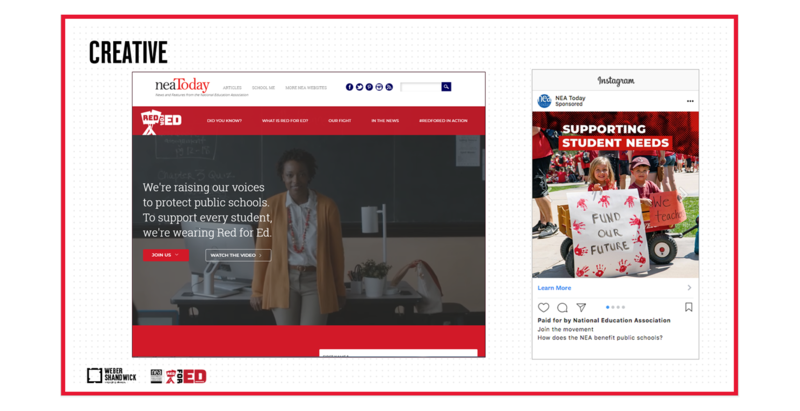 Our advertising drove over 280K educators to our Red for Ed website where they could watch our anthem video, learn more, and follow the story across the nation. 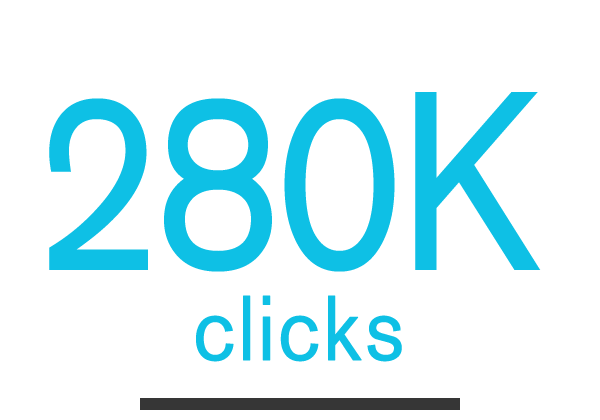 Across Facebook and YouTube we drove 2.8 million 100% completed video views against our target NEA membership.